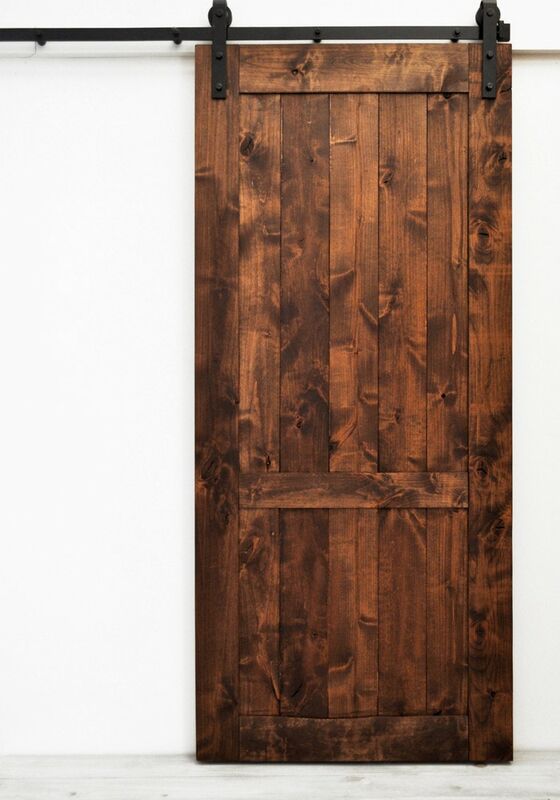 The Country Vintage Barn Door features a lightly distressed finish on a classic barn door design. This style is versatile, and fits well in almost any setting. All Dogberry Collections barn doors are proudly made in the USA and always constructed from real wood, so you can trust the quality of your door. Each door comes fully assembled, never a confusing kit. Popular applications include use as room dividers, door or window coverings, closet or pantry doors, or decorative wall accents. Recommendations for installation: purchase a door at least 1-in wider and no shorter than the door opening you intend to cover; if mounting sliding barn door hardware, a minimum of 6-ins is required between ceiling and top of the door opening; if mounting sliding barn door hardware to drywall, a 1-in thick header board is recommended; though the door comes fully assembled, sliding barn door hardware does require some assembly and installation.